Your Great Marriage, Inc. Your Great Marriage, Inc. The mission of The Stromans is to fulfill The Great Commission in our lifetime, by equipping pastors, business owners and community influencers to develop leadership and relationships that positively impact people with the values of Jesus Christ. 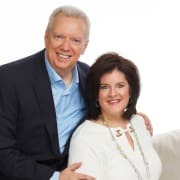 The first focus area is relationship building through our "Your Great Marriage" ministry, whose mission is to turn back the tide of divorce by revealing truths that help couples build great marriages in alignment with the values of Jesus Christ. Our second focus area is leadership development, which we accomplish through "The Stromans - Leadership and Relationship Coaching, with a mission of helping people be as successful at home as they are in their careers. So often people gain success in their career but lose their families in the process. The mission of The Stromans Leadership and Relationship Coaching is to fulfill The Great Commission in our lifetime, by using coaching principles to help people identify their God-given purpose and reach their full potential. Our third focus area is our International outreach Transformation Denmark. The mission of Transformation Denmark is to fulfill The Great Commission in our lifetime, by using values to raise awareness of the importance of a personal relationship with Jesus Christ. To summarize, our three areas of focus are building healthy relationships, developing strong Christian leaders and using a unique Values-based evangelism tool to reach the people of Denmark with the Gospel of Jesus Christ. Would you recommend Your Great Marriage, Inc.?